I’ve done quite a few posts already on electromagnetism. They were all focused on the math one needs to understand Maxwell’s equations. Maxwell’s equations are a set of (four) differential equations, so they relate some function with its derivatives. To be specific, they relate E and B, i.e. the electric and magnetic field vector respectively, with their derivatives in space and in time. [Let me be explicit here: E and B have three components, but depend on both space as well as time, so we have three dependent and four independent variables for each function: E = (Ex, Ey, Ez) = E(x, y, z, t) and B = (Bx, By, Bz) = B(x, y, z, t).] That’s simple enough to understand, but the dynamics involved are quite complicated, as illustrated below. I now want to do a series on the more interesting stuff, including an exploration of the concept of gauge in field theory, and I also want to show how one can derive the wave equation for electromagnetic radiation from Maxwell’s equations. Before I start, let’s recall the basic concept of a field. We know that the (negative) gradient of this function, at any point in space, gives us the electric field vector at that point: E = –∇Φ. [The minus sign is there because of convention: we take the reference point Φ = 0 at infinity.] Now, the electric field vector gives us the force on a unit charge (i.e. the charge of a proton) at that point. If q is some positive charge, the force will be repulsive, and the unit charge will accelerate away from our q charge at the origin. Hence, energy will be expended, as force over distance implies work is being done: as the charges separate, potential energy is converted into kinetic energy. Where does the energy come from? The energy conservation law tells us that it must come from somewhere. Gauss’ Theorem connects both the math as well as the physics of the situation and, as such, underscores the reality of fields: the energy is not in the electric charges. The energy is in the fields they produce. Everything else is just the principle of superposition of fields – i.e. E = E1 + E2 – coming into play. I’ll explain Gauss’ Theorem in a moment. Let me first make some additional remarks. First, the formulas are valid for electrostatics only (so E and B only vary in space, not in time), so they’re just a piece of the larger puzzle. 🙂 As for now, however, note that, if a field is real (or, to be precise, if its energy is real), then the flux is equally real. Second, let me say something about the units. Field strength (E or, in this case, its normal component En = E·n) is measured in newton (N) per coulomb (C), so in N/C. The integral above implies that flux is measured in (N/C)·m2. It’s a weird unit because one associates flux with flow and, therefore, one would expect flux is some quantity per unit time and per unit area, so we’d have the m2 unit (and the second) in the denominator, not in the numerator. But so that’s true for heat transfer, for mass transfer, for fluid dynamics (e.g. the amount of water flowing through some cross-section) and many other physical phenomena. But for electric flux, it’s different. You can do a dimensional analysis of the expression above: the sum of the charges is expressed in coulomb (C), and the electric constant (i.e. the vacuum permittivity) is expressed in C2/(N·m2), so, yes, it works: C/[C2/(N·m2)] = (N/C)·m2. To make sense of the units, you should think of the flux as the total flow, and of the field strength as a surface density, so that’s the flux divided by the total area, so (field strength) = (flux)/(area). Conversely, (flux) = (field strength)×(area). Hence, the unit of flux is [flux] = [field strength]×[area] = (N/C)·m2. OK. Now we’re ready for Gauss’ Theorem. 🙂 I’ll also say something about its corollary, Stokes’ Theorem. It’s a bit of a mathematical digression but necessary, I think, for a better understanding of all those operators we’re going to use. The ∇·C in the integral on the right-hand side is the divergence of a vector field. It’s the volume density of the outward flux of a vector field from an infinitesimal volume around a given point. Huh? What’s a volume density? Good question. Just substitute C for E in the surface and volume integral above (the integral on the left is a surface integral, and the one on the right is a volume integral), and think about the meaning of what’s written. To help you, let me also include the concept of linear density, so we have (1) linear, (2) surface and (3) volume density. Look at that representation of a vector field once again: we said the density of lines represented the magnitude of E. But what density? The representation hereunder is flat, so we can think of a linear density indeed, measured along the blue line: so the flux would be six (that’s the number of lines), and the linear density (i.e. the field strength) is six divided by the length of the blue line. Indeed, just bring ΔV to the other side of the equation to check the ‘per unit volume’ aspect of what I wrote above. The whole idea is to determine whether the small volume is like a sink or like a source, and to what extent. Think of the field near a point charge, as illustrated below. Look at the black lines: they are the field lines (the dashed lines are equipotential lines) and note how the positive charge is a source of flux, obviously, while the negative charge is a sink. Now, the next step is to acknowledge that the total flux from a volume is the sum of the fluxes out of each part. Indeed, the flux through the part of the surfaces common to two parts will cancel each other out. Feynman illustrates that with a rough drawing (below) and I’ll refer you to his Lecture on it for more detail. We have a contour integral here (left) and a surface integral (right). The reasoning behind is quite similar: a surface bounded by some loop Γ is divided into infinitesimally small squares, and the circulation around Γ is the sum of the circulations around the little loops. We should take care though: the surface integral takes the normal component of ∇×C, so that’s (∇×C)n = (∇×C)·n. The illustrations below should help you to understand what’s going on. Hence, if the velocity vector v is not equal to zero, we need to look at the magnetic field vector B too! The simplest situation is magnetostatics, so let’s first have a look at that. Magnetostatics imply that that the flux of E doesn’t change, so Maxwell’s third equation reduces to c2∇×B = j/ε0. So we just have a steady electric current (j): no accelerating charges. Maxwell’s fourth equation, ∇•B = 0, remains what is was: there’s no such thing as a magnetic charge. The Lorentz force also remains what it is, of course: F = q(E+v×B) = qE +qv×B. Also note that the v, j and the lack of a magnetic charge all point to the same: magnetism is just a relativistic effect of electricity. What about units? Well… While the unit of E, i.e. the electric field strength, is pretty obvious from the F = qE term – hence, E = F/q, and so the unit of E must be [force]/[charge] = N/C – the unit of the magnetic field strength is more complicated. Indeed, the F = qv×B identity tells us it must be (N·s)/(m·C), because 1 N = 1C·(m/s)·(N·s)/(m·C). Phew! That’s as horrendous as it looks, and that’s why it’s usually expressed using its shorthand, i.e. the tesla: 1 T = 1 (N·s)/(m·C). Magnetic flux is the same concept as electric flux, so it’s (field strength)×(area). However, now we’re talking magnetic field strength, so its unit is T·m2 = (N·s·m2 )/(m·C) = (N·s·m)/C, which is referred to as the weber (Wb). Remembering that 1 volt = 1 N·m/C, it’s easy to see that a weber is also equal to 1 Wb = 1 V·s. In any case, it’s a unit that is not so easy to interpret. We have a line integral here around a closed curve, instead of a surface integral over a closed surface (Gauss’ Law), but it’s pretty similar: instead of the sum of the charges inside the volume, we have the current through the loop, and then an extra c2 factor in the denominator, of course. Combined with the ∇•B = 0 equation, this equation allows us to solve practical problems. But I am not interested in practical problems. What’s the theory behind? In electrostatics, we had the other theorem: if the curl of a vector field is zero (everywhere), then the vector field can be represented as the gradient of some scalar function, so if ∇×C = 0, then there is some Ψ for which C = ∇Ψ. Substituting C for E, and taking into account our conventions on charge and the direction of flow, we get E = –∇Φ. Substituting E in Maxwell’s first equation (∇•E = ρ/ε0) then gave us the so-called Poisson equation: ∇2Φ = ρ/ε0, which sums up the whole subject of electrostatics really! It’s all in there! Note the qualifier: ∇·A = 0. Why should the divergence of A be equal to zero? You’re right. It doesn’t have to be that way. We know that ∇·(∇×C) = 0, for any vector field C, and always (it’s a mathematical identity, in fact, so it’s got nothing to do with physics), but choosing A such that ∇·A = 0 is just a choice. In fact, as I’ll explain in a moment, it’s referred to as choosing a gauge. The ∇·A = 0 choice is a very convenient choice, however, as it simplifies our equations. Indeed, c2∇×B = j/ε0 = c2∇×(∇×A), and – from our vector calculus classes – we know that ∇×(∇×C) = ∇(∇·C) – ∇2C. Combining that with our choice of A (which is such that ∇·A = 0, indeed), we get the ∇2A= −j/ε0 expression indeed, which sums up the whole subject of magnetostatics! Note that electrostatics is a neat example of a vector field with zero curl and a given divergence (ρ/ε0), while magnetostatics is a neat example of a vector field with zero divergence and a given curl (j/c2ε0). But reality is usually not so simple. With time-varying fields, Maxwell’s equations are what they are, and so there is interdependence, as illustrated in the introduction of this post. Note, however, that the magnetic field remains divergence-free in dynamics too! That’s because there is no such thing as a magnetic charge: we only have electric charges. So ∇·B = 0 and we can define a magnetic vector potential A and re-write B as B = ∇×A, indeed. I am writing a vector potential field because, as I mentioned a couple of times already, we can choose A. Indeed, as long as ∇·A = 0, it’s fine, so we can add curl-free components to the magnetic potential: it won’t make a difference. This condition is referred to as gauge invariance. I’ll come back to that, and also show why this is what it is. Indeed, they are like the integrals for statics, but with “a small and physically appealing modification”, as Feynman notes: when doing the integrals, we must use the so-called retarded time t′ = t − r12/ct’. The illustration below shows how it works: the influences propagate from point (2) to point (1) at the speed c, so we must use the values of ρ and j at the time t′ = t − r12/ct’ indeed! The second aspect of the answer to the question of why we’d be interested in Φ and A has to do with the topic I wanted to write about here: the concept of a gauge and a gauge transformation. Let’s see what we’re doing really. We calculate some A and then solve for B by writing: B = ∇×A. Now, I say some A because any A‘ = A + ∇Ψ, with Ψ any scalar field really. Why? Because the curl of the gradient of Ψ – i.e. curl(gradΨ) = ∇×(∇Ψ) – is equal to 0. Hence, ∇×(A + ∇Ψ) = ∇×A + ∇×∇Ψ = ∇×A. So we have one equation here relating Φ and A to the sources. We need another one, and we also need to separate Φ and A somehow. How do we do that? That’s a wave equation in three dimensions. In case you wonder, just check one of my posts on wave equations. The one-dimensional equivalent for a wave propagating in the x direction at speed c (like a sound wave, for example) is ∂2Φ/∂x2 = c–2·∂2Φ/∂t2, indeed. The equation for A yields above yields similar wave functions for A‘s components Ax, Ay, and Az. 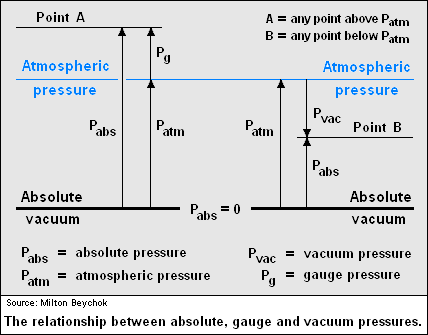 Choosing the ∇·A is choosing a gauge, or a gauge potential (because we’re talking scalar and vector potential here). The particular choice is also referred to as gauge fixing. Changing A by adding ∇ψ is called a gauge transformation, and the scalar function Ψ is referred to as a gauge function. The fact that we can add curl-free components to the magnetic potential without them making any difference is referred to as gauge invariance. Finally, the ∇·A = −c–2·∂Φ/∂t gauge is referred to as a Lorentz gauge. In mathematics, the unitary group of degree n, denoted U(n), is the group of n × n unitary matrices, with the group operation that of matrix multiplication. The unitary group is a subgroup of the general linear group GL(n, C). In the simple case n = 1, the group U(1) corresponds to the circle group, consisting of all complex numbers with absolute value 1 under multiplication. All the unitary groups contain copies of this group. The unitary group U(n) is a real Lie group of of dimension n2. The Lie algebra of U(n) consists of n × n skew-Hermitian matrices, with the Lie bracket given by the commutator. The general unitary group (also called the group of unitary similitudes) consists of all matrices A such that A*A is a nonzero multiple of the identity matrix, and is just the product of the unitary group with the group of all positive multiples of the identity matrix. Although classical electromagnetism is now often spoken of as a gauge theory, it was not originally conceived in these terms. The motion of a classical point charge is affected only by the electric and magnetic field strengths at that point, and the potentials can be treated as a mere mathematical device for simplifying some proofs and calculations. Not until the advent of quantum field theory could it be said that the potentials themselves are part of the physical configuration of a system. The earliest consequence to be accurately predicted and experimentally verified was the Aharonov–Bohm effect, which has no classical counterpart. This confirms, once again, that the fields are real. In fact, what this says is that the potentials are real: they have a meaningful physical interpretation. I’ll leave it to you to expore that Aharanov-Bohm effect. In the meanwhile, I’ll study what Feynman writes on potentials and all that as used in quantum physics. It will probably take a while before I’ll get into group theory though. Indeed, it’s probably best to study physics at a somewhat less abstract level first, before getting into the more sophisticated stuff. This entry was posted in Mathematics, Physics and tagged Ampere's Law, Faraday's Law, gauge, gauge invariance, gauge theory, gauge transformation, Gauss' Law, Gauss' Theorem, Lorentz gauge, Maxwell's equations, scalar potential, Stokes' Theorem, vector potential. Bookmark the permalink.